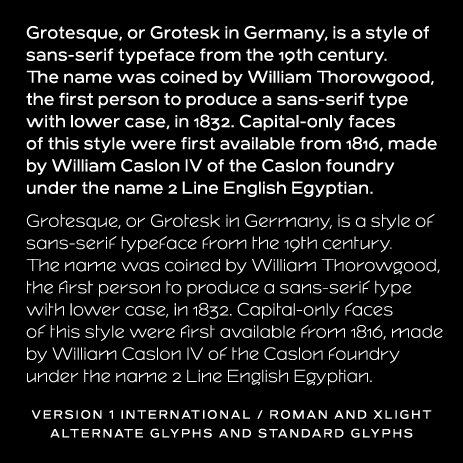 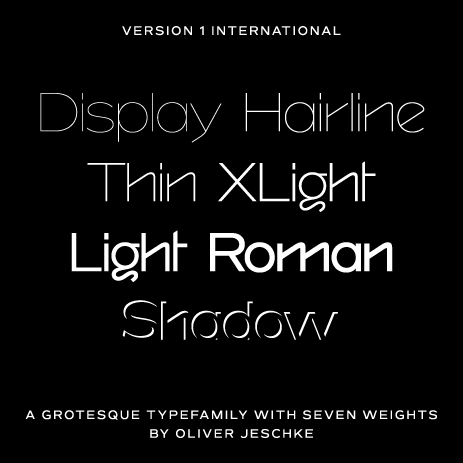 The Version 1 font family is a mannered geometric linear-grotesque, hand drawn and developed by Oliver Jeschke and Oliver Mayer at Tatin Design Enterprises in Basel, Switzerland and Berlin, Germany. 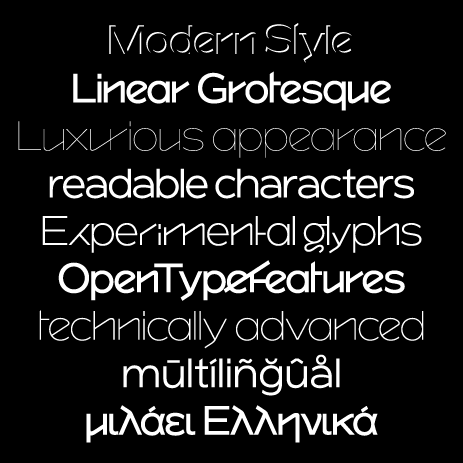 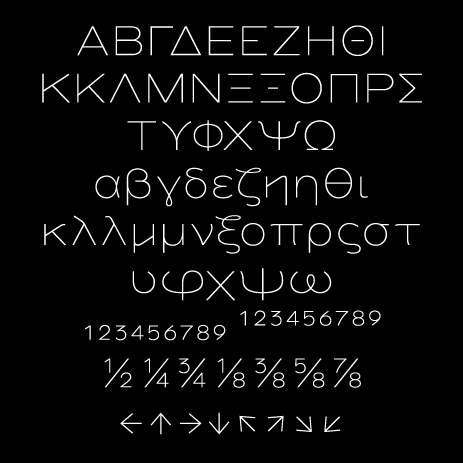 It was created in a three-month training and was further developed in the later stages as OpenType font. 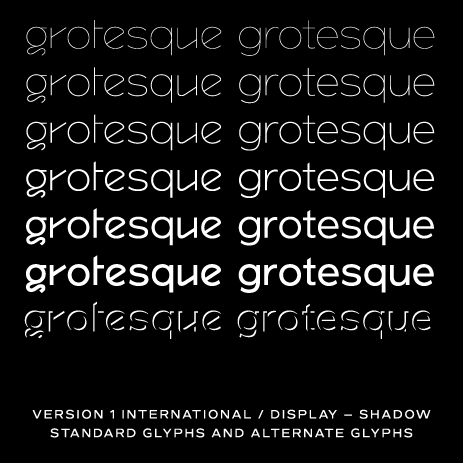 This type is gone away from the regular tempo of design and for the individual, to decorate with it , to be used for the headline, title and/or award areas.